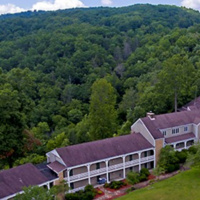 McConnell Scholars and staff will venture to Pine Mountain State Resort Park for a leadership retreat Aug. 5 through Aug. 9. In addition to preparing for the upcoming 2018-2019 academic year, Scholars will explore the cultural, historical and political climate of the eastern portion of the Commonwealth. Please note that our main office will be closed Aug. 6-10. Regular business hours will resume Aug. 13.